(a) The application for a declaratory order regarding contempt [by Ihlobo against Bata] is refused. (b) It is declared that the first respondent's [Bata] failure to comply with para 2.2 of the order made by Gorven J on 20 April 2018 was unlawful, and it is ordered to comply fully with that order. (c) The first respondent is ordered to pay the costs of this application on the attorney and client scale. In response to a query, Bata SA attorney Bhauna Hansjee said her firm was "taking instructions and advising our client". Bata's application for leave to appeal against the April 20 order will be heard on June 5. Durban (SA) – A number of global initiatives will come out of the meetings between various national footwear manufacturers associations held alongside the UITIC Congress in Portugal from May 16-18. "APICCAPS [The Portuguese Footwear, Components & Leather Goods Manufacturers Association] has, for the past few years, compiled global footwear statistics," said SAFLIA director Jirka Vymetal. 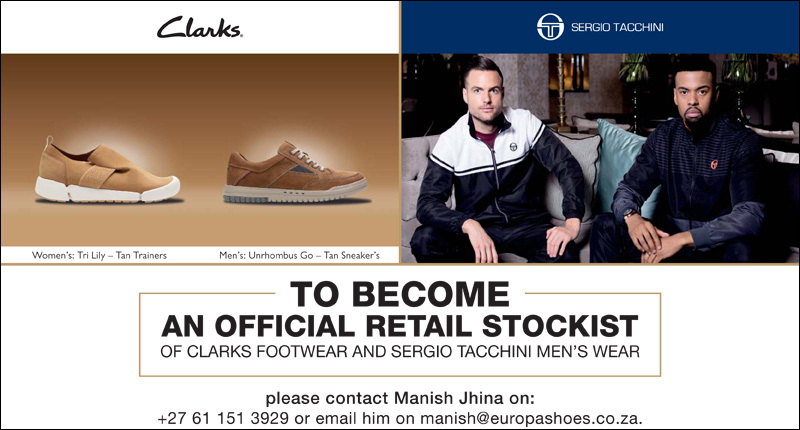 "That's a very impressive achievement, for which the world's footwear industries should be grateful. However, aside from most of the countries of North Africa - which are more closely economically linked to Europe than to the rest of Africa - only 3 sub-Saharan countries feature in their statistics - South Africa, Ethiopia and Angola. 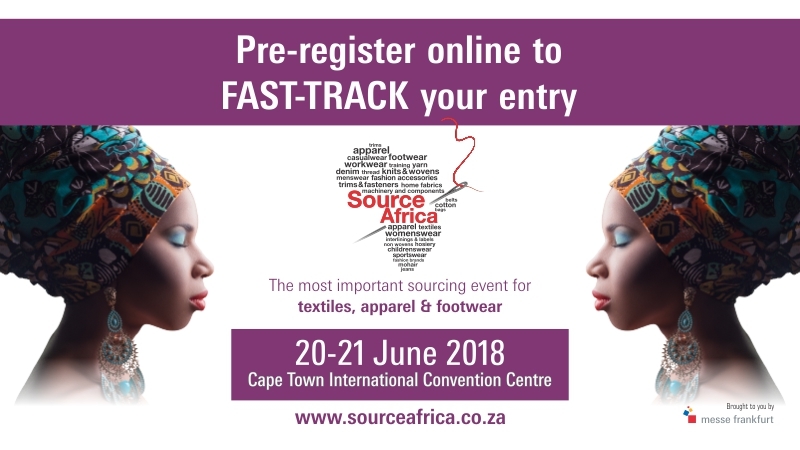 "Other delegates were quite surprised to learn that there are footwear manufacturing industries elsewhere in Africa - probably in every country. "Since APICCAPS has little or no access to these parts of Africa, perhaps SAFLIA should be involved and take the initiative in exposing the sub-Saharan footwear industry to the world. As a start, we need a comprehensive picture of the manufacturers here, their capabilities and their output. APICCAPS would appreciate this, and it would benefit the region as a whole. "I realise that's no easy task - it's hard enough getting stats from South African manufacturers - but we plan to start investigating this shortly. We would welcome input from other parts of Africa." Durban (SA) – Massmart is relocating the Game head office to Johannesburg from August 1. The move is coinciding with a restructuring. Because Shoepack is constantly being updated with new features, we are always ahead of the trends. But this doesn’t mean that we are too big for our boots. Our software is built on a foundation created with scalability at heart. Just like shoes, companies come in all shapes and sizes, and have different needs when it comes to software. And as the dynamics of the business shifts, these needs may change over time. Most businesses won’t know what software functionality they will require going forward, and because they fear that they will outgrow their software, some purchase software with way more features than what they need. This is why scalability is crucial. Scalable software solutions provide businesses with the opportunity to buy exactly what they need, when they need it and give them the option to upgrade when they are ready. Amsterdam (The Netherlands, May 23, 2018) – Tommy Hilfiger, which is owned by PVH Corp. [NYSE: PVH], announces model Hailey Baldwin and model and activist Winnie Harlow as the new global brand ambassadors for Tommy Hilfiger women’s for Fall 2018. As part of the brand’s global campaign, which celebrates icons of tomorrow in the worlds of fashion, art, music and entertainment, they will appear as the face of the Fall 2018 Tommy Icons capsule collection for women. 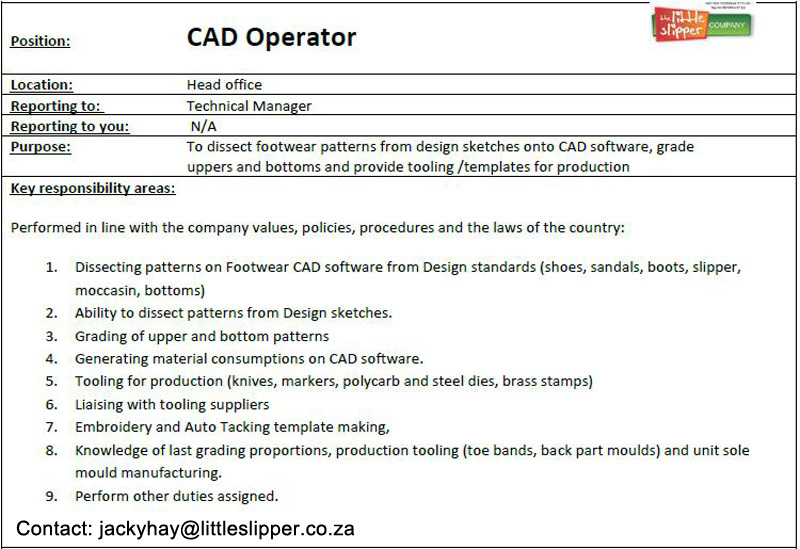 Cape Town (SA) – Footwear agent Gary McEvoy, who represented Foot Focus and other factories, died on Sunday, May 27. We hope to publish an obituary in the next issue of S&V Footwear & Leather Goods, due out shortly. "We'd rather leave that business to people who haven't learnt yet." - Charles Poole of Design Unique Belts on why he won't supply chains, despite the difficulties facing independent retailers. 28/05/1958: Brigitte Davidow, Nakara, Windhoek. 29/05/1964: Bevan Lamb, left the industry, formerly Egoli Gumboots (closed), Amanzimtoti. 29/05/1980: Andrew Lang, Rolfes Chemicals, Germiston. 29/05/1987: Saahir Bhamjee, Sbzee Global Trading, Johannesburg. 30/05/1940: Subramonia Balakrishnan, Malar Industries, Ndola, Zambia. 31/05/1951: James Stewart, Tokyo+Co, Cape Town. 31/05/1954: Anthony Pearce, ?, formerly Gringo Leather, Port Shepstone (now Midland Leather). 31/05/1959: Mike Ing, The Ing Thing, Howick. 31/05/1963: Craig Davis, Spunlok, Pinetown. 31/05/1972: Calay Grecia, Classic Components, Pinetown. 01/06/1942: Chris Horne, The Little Slipper Company, Port Elizabeth. 01/06/1947: Peter Howard, left the industry, formerly CPC, Port Elizabeth. 02/06/1946: Freddy Pillay, ?, formerly East Coast Shoes, Chatsworth [closed]. 02/06/1975: Shaun Ganesh, Nikkita Footwear, Chatsworth. 02/06/1983: Jana van Vuuren, Maraschino Shoes, Pretoria. 03/06/1958: Tom Bailey, Watson Shoes, Great Brak River. 28/05/2011: Charles Chavkin (b. 20/03/1930), Charles Chavkin Agencies, Johannesburg. 01/06/1992: Harry Gassert (Panther Shoe Co). 03/06/2016: Joop de Voest (b. 21/01/1954), Marketing & Planning Consulting Services, De Rust. Leather footwear manufacturers that have not yet done so are requested to read the lead article in S&V African Leather, published last week, which deals with issues raised about the accuracy of the prices quoted below. The average hide price over the past week was R7.78/kg green. NB* Hide prices are determined by the average of the RMAA (Red Meat Abattoir Association) and independent companies. The average price for Dorper skins was R31.38, and for Merino skins was R86.06. Need to get your retail store up to speed with this millennium and manage it online? Online point of sale system with stock control. Profit and loss accounting management. CCTV app control. Staff training. Now you can monitor your retail store from far away. Very low running cost! Suitable for small to big businesses. Once-off set up fee! Next newsletter: June 4, 2018.